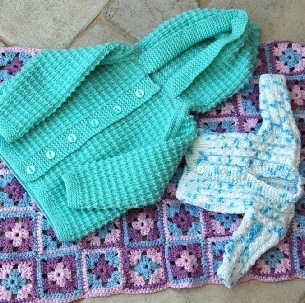 Selected volunteers knit and sew garments for babies and young Children. These are then made available at monthly sales to both raise funds for the League and as gifts for new arrivals and those in hospital. Donations of similar items always welcome.